The owner of the small business will often struggle to determine what is most important for their company. One area more than half overlook is implementing a website to increase exposure and drive commerce. Don’t think that you have enough time to think about a website and it will cost too much or be too hard to develop or believe a website won’t create a new or extra business. The reality is quite the contrary. These days building a business website or e-commerce store is easier than ever. It doesn’t cost much money and you don’t have to know how to code or design. It is about providing some value to potential customers not just having a business website for selling your goods and services. There are so many low priced online services. 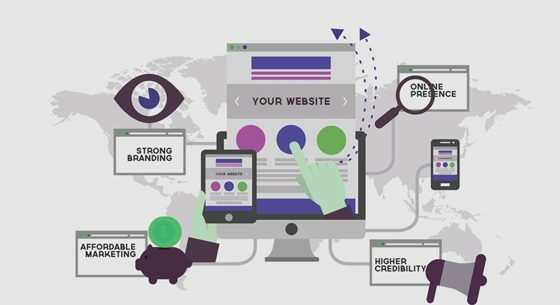 Here are some reasons why your business must have a website. The online presence will allow the customers to learn more about the company and what it offers. The customers expect the business to be online these days. According to a research, the customers will search the products and services online. Everyone is able to access the Internet on the go with the advent of the smartphones. If your potential customers will not be able to find you while they’re out running errands, then you’re losing out on business and increasing awareness. Your business may also be invisible. If you do not have a website then it is similar to having no name to your business in the building. It causes the customers to doubt the business credibility. There are various affordable options which will help you to develop an online presence. So it is very important to show the customers that they are important to them and you are very committed to the business. The customers are constantly searching online to compare prices and services and the Internet has become the new Yellow Pages phone book. With the majority of your competitors online anytime, the longer you wait to create a website, the more business you could lose. A website is always available to the customers. You will not be able to predict when someone will be looking for more information on your products or services. A website will allow the customers to reach you even when you are not open for business. Include the relevant or applicable to a particular matter information a customer will need to learn more about your company, such as a description of your products and services, directions to your location, customer reviews and hours of operation. A website can be a more manageable and inexpensive option because newspaper, radio and television advertisements can be quite pricey, especially for a small business.There are effective ways to use your website to create leads and sales opportunities by offering special coupons or incentives for following your company on various social media platforms. The more you can share on your business, the more success you will likely enjoy. Your website must reflect your brand because it should be a reflection of your values. The website should be designed for the needs of your ideal customer. You should not just concentrate on your pages but also care about your posts. The website you create must bring your brand closer to your potential customers.